The other day while shopping at Target with my sister, I decided to pick up two E.l.f. brushes since I wanted to wash my other brushes and needed a back up to use while the other brushes dry. To my surprise, I ended up liking these brushes better than the ones I’ve been using! First off, they are really inexpensive, which is a plus. Both brushes were only $3 + tax, and if you have a Target card you get 5% off, so it was less than $7 for two brushes. Secondly, they are packaged individualy and provide nice sturdy packaging for easy storage. 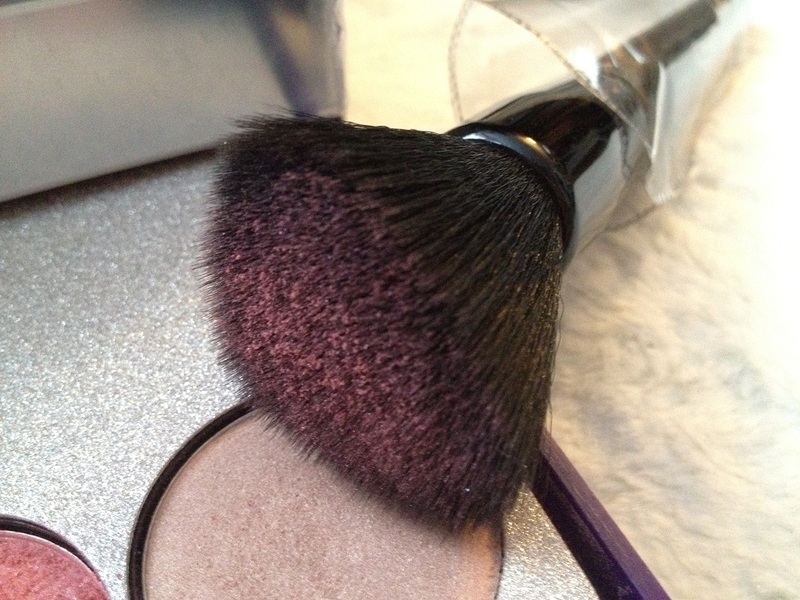 What’s even better, is the Powder Brush comes with a brush cover so it protects the bristles and helps keep its shape while protecting it from dust and such. This new anti bacterial, synthetic haired Taklon brush is softer and more absorbent and can be used with wet or dry products. 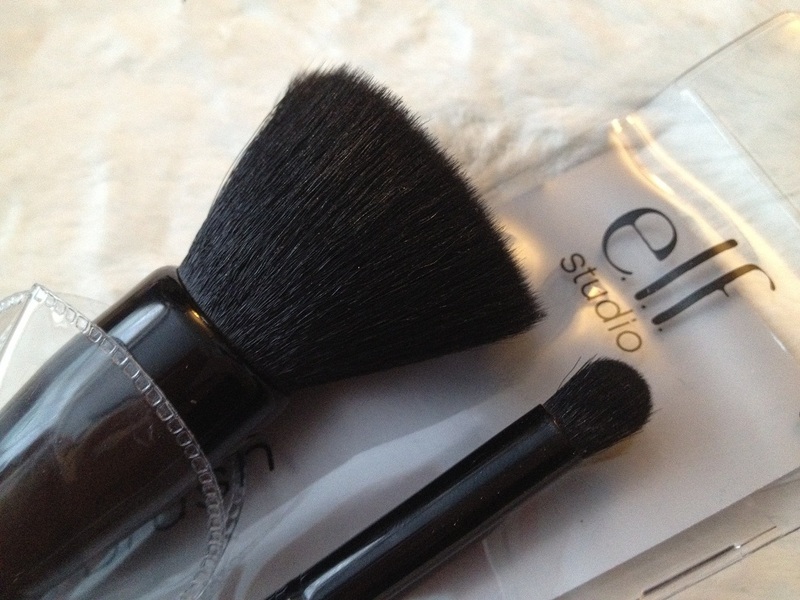 Be a professional makeup artist and create a flawless look with this e.l.f. studio brush! I have to agree with their description, the brush is very soft and really does pick up the pigment of the powders really well. 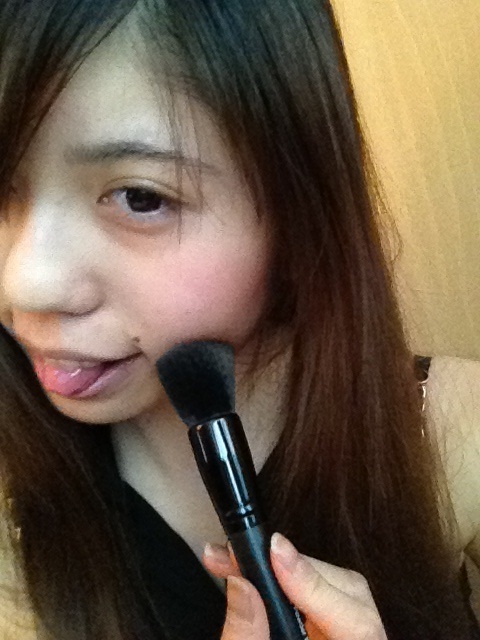 In fact, they feel softer against my skin than my Clinique, Forever21, Estée Lauder and L’Oreal brushes! Haha so I realized I’ve been using this brush for the wrong purpose, no wonder it didn’t blend as well as I would’ve liked as compared to the powder brush. However, it still worked pretty well! I’ve been using it to contour my nose with bronzer and highlight. It really did pick up the pigment and color really well (as you can see in my picture), and more so than the powder brush did. Since it’s a thinner brush, it was easy to only apply to the areas I needed. 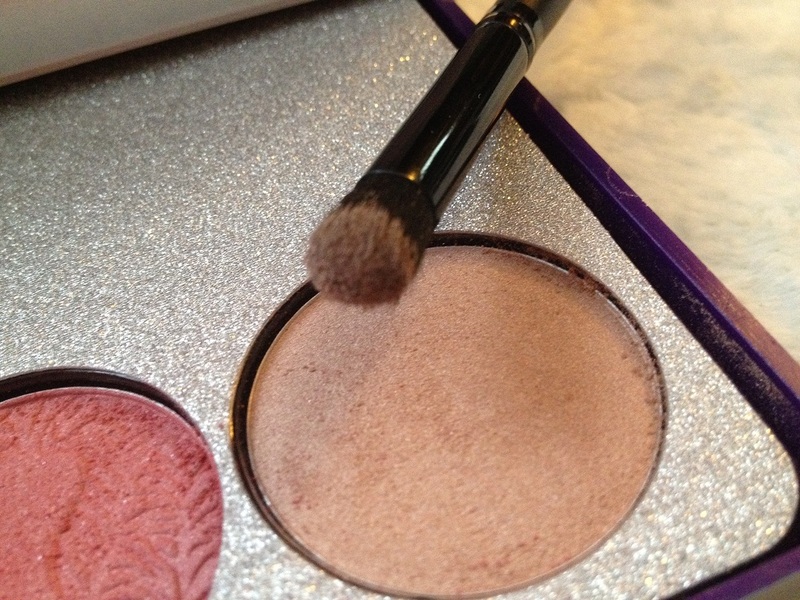 However, since it is domed in that way, it was much more concentrated so the bronzer was a bit strong. With patience I was able to blend the harsh lines out, though not as soft as the Powder Brush, but still quite natural at the end. Example pictures of the outcome. 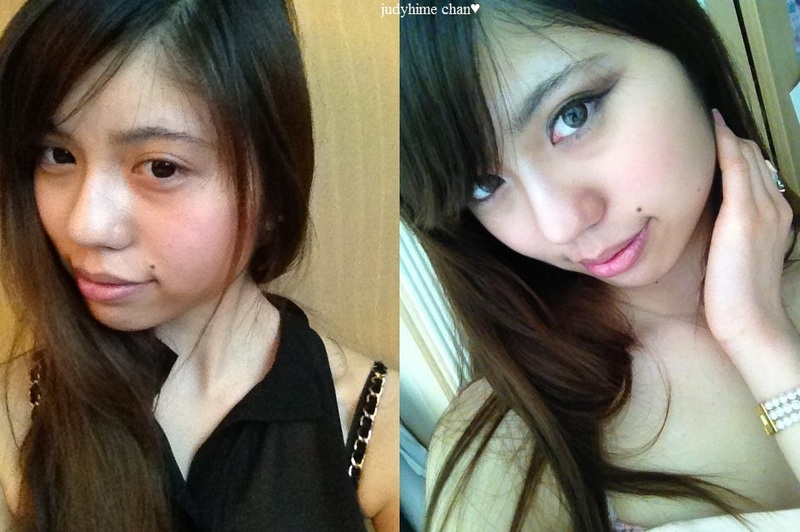 I tried contouring my face just slightly differently on my cheeks in these two images, but as you can see it looks really natural at the end and soft lines. I really enjoy using these brushes since it’s soft and nice feel to the skin, and has great outcomes. I would definitely recommend these brushes (which I already did to one of my friend haha!) and would love to pick up a few of their other brushes to try. And I’ve been really addicted to the new kpop songs that came out, one being Big Bang’s come back BLUE. I love the lyrics that says “I was born and I met you. And I have loved you to death.” I wish to find a guy that I can say that to (just those lines, not the whole song hahaha). Anyways, hope you enjoy it as much as I do!